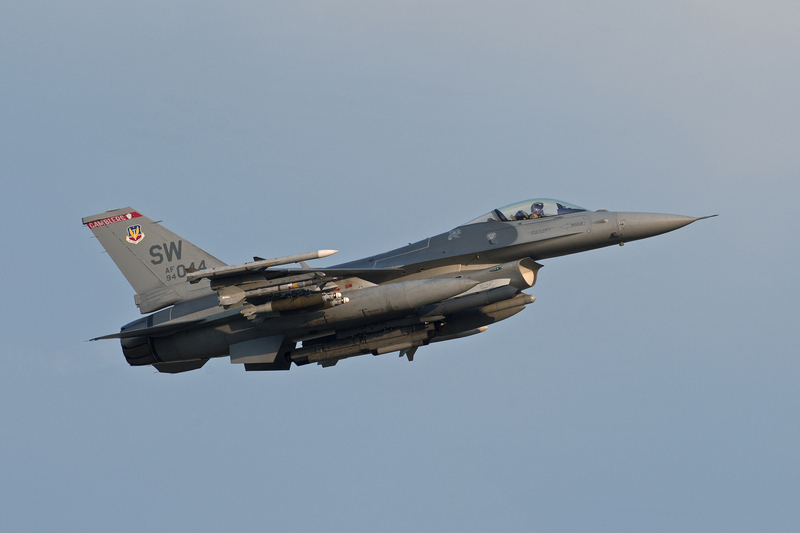 Just a few short days ago, we celebrated the 50th Anniversary of the very first Wild Weasel SAM kill in North Vietnam, which demonstrated the need and effectiveness of the specialized community of aviators. In recent times, a fantastic example are Operations Odyssey Dawn and Unified Protector, where a U.S.-led coalition faced down Muammar Gaddafi’s SAMs over Libya. 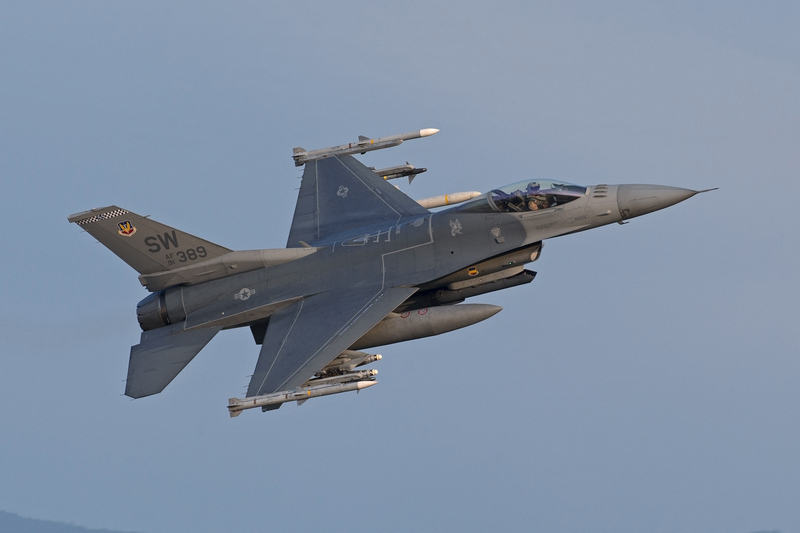 This is an account of one particular mission during Unified Protector, written by a friend of ours still flying the Viper. We have concealed his identity and those of others involved for security reasons. So without further ado, we go inside the cockpit of today’s Super Weasel! Our tasking was to fly armed reconnaissance/SEAD missions over Libya, and this deployment was great for a number of reasons: We were living in Europe, dropping bombs every sortie, and had a schedule that allowed for a day of downtime after our 6-to-9-hour missions. Thanks in large part to the Vice Wing Commander at our forward operating base, the host wing’s priority had actually become supporting fighter pilots flying combat ops. Amazing. The Officers’ Club welcomed (perhaps tolerated?) our celebration of successful missions (READ: blowing stuff up in the name of freedom), the commissary and deli stayed open late to make sure we had the provisions we wanted for our marathon sorties, and General Order 1B was definitely not in effect. I mean somehow, even with wives/girlfriends visiting, sampling the local wine, and running without reflective belts or tucked-in T-shirts, we were able to drop 159 bombs–and shacked greater than 95% of them during our trip. For me personally, the greatest aspect of the deployment was the mission: they were challenging, which demanded great teamwork and flawless execution, both on the ground and in the air. On one mission in particular, my formation destroyed a pair of 9K33m3 “Osa” (NATO Codename: SA-8 “Gecko”) command and control vehicles, the direct result of the outstanding work by the squadron Intel NCO, Steve. On each mission, as we searched for SEAD-related targets of opportunity, identifying SAMs and their support vehicles in travel mode (with radars and antennas folded and stowed) was a real challenge. As a result, the squadron kept a book of targeting pod imagery from previous sorties for mission planning on subsequent trips into the AOR. Some pages had big X’s through the images, meaning that particular target had been struck, and others had notes related to positive identification (PID). Lastly, there were pages with question marks, meaning we needed intel and future missions to try to get PID. For each mission, we’d step with a list of coordinates for both targets in need of bombs, and other vehicles needing PID. This gave us a starting point for what was essentially a three-to-four-hour search-and-destroy VULnerability Period (VUL). As my wingman and I were briefing to fly, our squadron commander–who’d just returned from his mission–stepped in and gave Steve some information about some suspicious vehicles colocated with the Libyan SA-5 site we were tasked to deal with. Thinking nothing of it, my wingman and I left to get dressed out. Suddenly, Steve and the boss rushed in. Mike, our commander, handed me his targeting pod imagery and a picture out of Jane’s. “This (pointing to his pod imagery) is this (pointing to the Jane’s picture),” Mike said emphatically. Steve knew PID was tricky and as a result, he’d been studying pictures of various SAM systems, support vehicles and what they looked like in travel mode. And he was right. 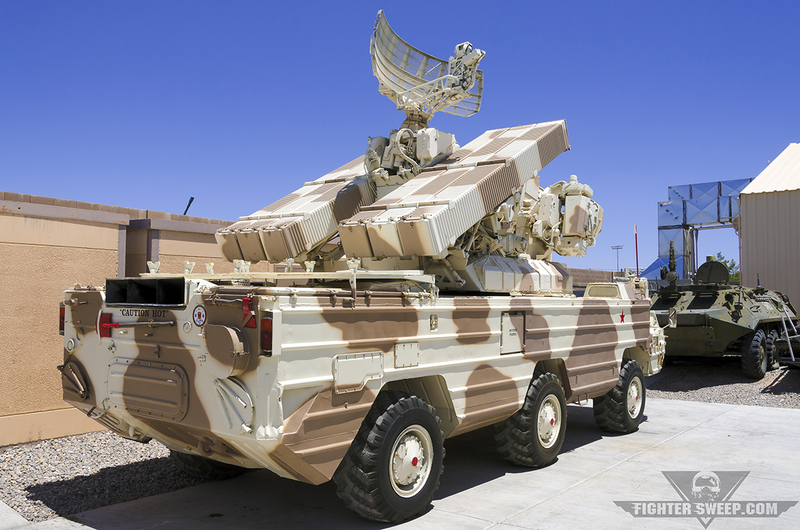 Mobile SAMs were of particular concern to the Coalition air forces operating over Libya, which made this target a priority–and Steve’s confirmation even more significant. Now it was time to make his homework pay off. My wingman and I took off at sunset and met our tanker for the 2.5-hour flight down to the Area of Operations (AO). While over the Mediterranean Sea, we passed another Weasel 2-ship returning home. I hit them on the aux freq and confirmed what they’d attacked so I could scratch that off our lineup cards. I also asked if they’d identified anything that I could upgrade from “Needs PID” to “Actionable.” After the short coord, they were on their way to the club back at the base, and we were on our way to Libya. 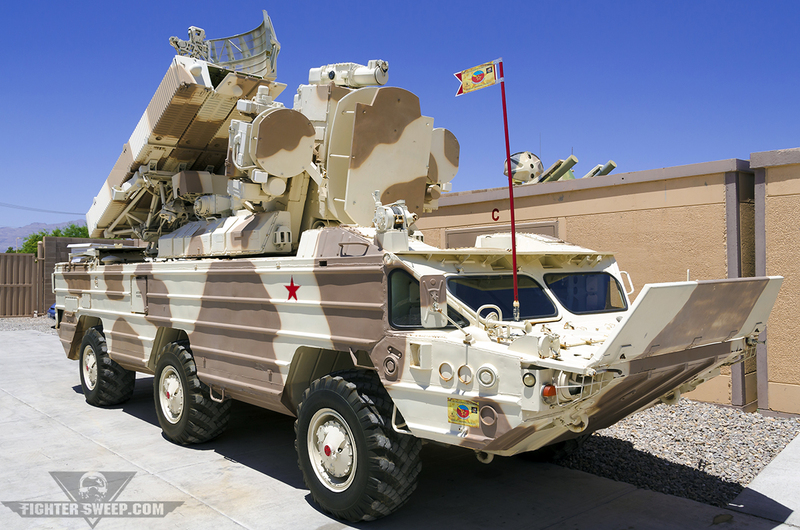 Before topping off fuel and calling “feet dry,” I called the SA-8 vehicles into AWACS. At this point in the operation, we had to call in targets and receive approval before executing a strike. With our tanks full, lights off, flares on (tested over the HMS Liverpool) and MASTER ARM – ON, we proceeded inbound to the target area. We climbed into the high 20s and accelerated to avoid the reported MAN-Portable Air Defense System (MANPADS) threat. My wingman was line abreast, clearing for the formation while I captured bomb damage. A bright flash illuminated the Libyan sky, followed by secondary explosions–presumably from the vehicles’ fuel tanks. The dust settled, and I reported both SA-8 vehicles destroyed. Later in the mission, my wingman and I executed a simultaneous strike on three S-200 “Angara” (NATO Codename: SA-5 “Gammon”) transport trailers. We were also able to PID a couple of other items elsewhere in the country. Being “Winchester,” with all of our bombs dropped and our VUL time expired, we checked “feet wet” and flew back to our deployed location. Once we landed, I made sure the de-arm crew in the EOR saved the bomb rings for me. We’d dropped so many bombs so quickly that saving the rings wasn’t really special anymore. My wingman and I taxied to park. We climbed out of our jets after being strapped in for almost 10 hours. A weapons troop handed me the bomb rings and we proceeded to our debrief. With our MISsion REPort (MISREP) complete and new imagery pages added to the planning binder, I placed the bomb rings on Steve’s desk. Although I’d pressed the pickle button on those vehicles, those bombs were his. We at FighterSweep tip our hat to Major Joe for sharing this story. Wild Weasel 50th Anniversary Roundup!